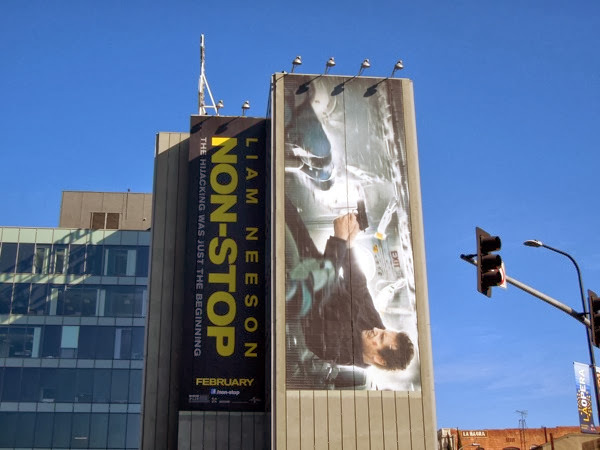 Liam Neeson seems an unlikely action hero, but it's the role he's been carving out for himself with recent films such as Taken, Unknown, The Grey and now, Non-Stop. 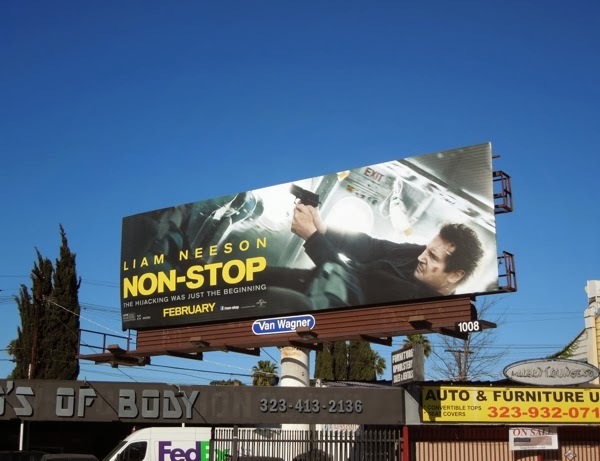 He's certainly not your typical Hollywood action hero - all pumped up, with not a thought in his head. 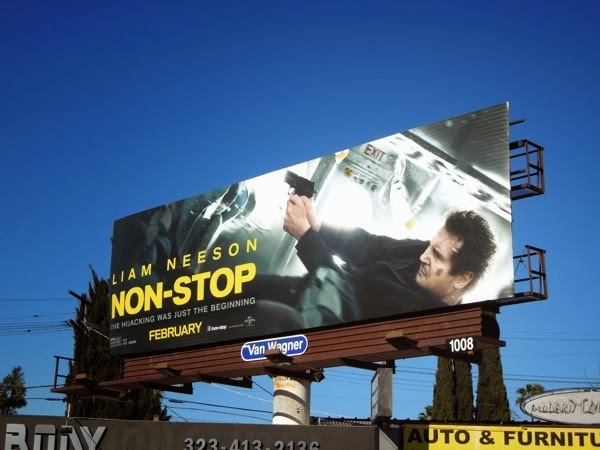 Maybe that's part of his appeal though, he seems like an everyman with his gruff Irish voice and craggy good looks, who's aging very well. 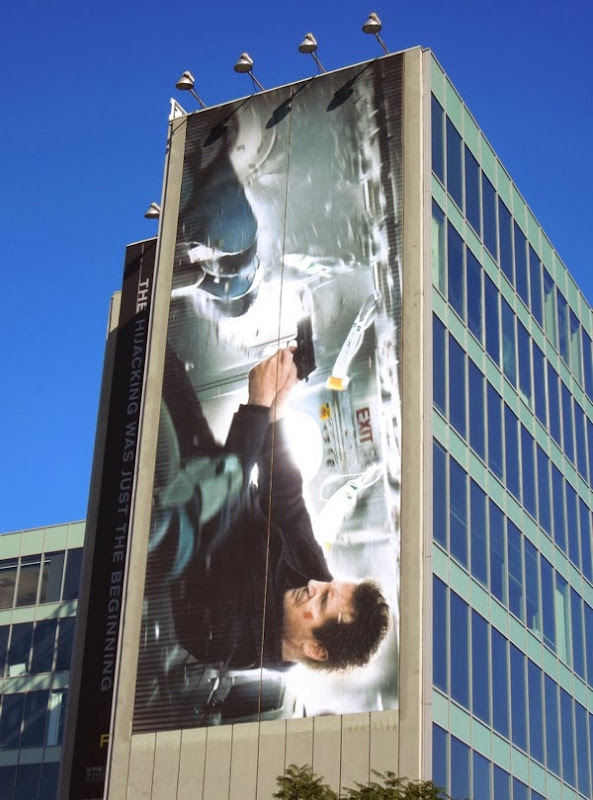 In his latest thriller, the actor takes to the skies as a burned-out Air Marshal veteran whose routine day job changes dramatically mid-flight over the Atlantic when he receives a series of mysterious texts ordering him to have the airline deposit $150 million into a secret account, or a passenger on board will die every 20 minutes. 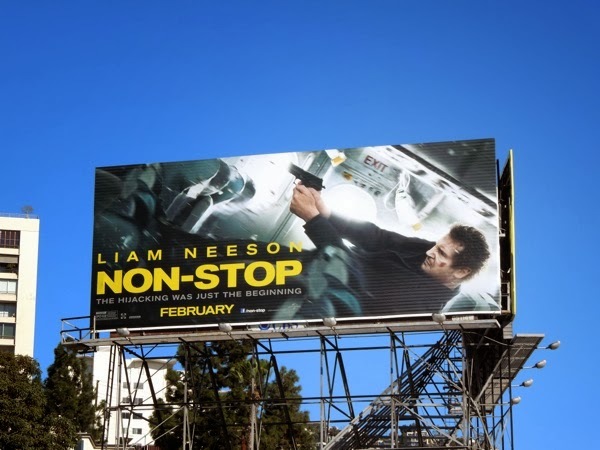 Sounds like high stakes and non-stop drama in the skies, as he's joined by the likes of Julianne Moore and 12 Years a Slave current media darling Lupita Nyong'o. 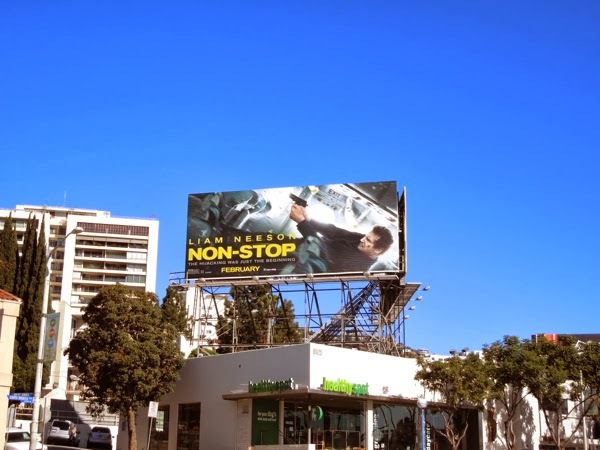 These giant-sized billboards for Non-Stop were first spied at the busy commuter intersection of Highland and Franklin Avenues on January 24, whilst the standard landscape versions were snapped along Melrose Avenue and Santa Monica Boulevard on February 2, 2014. 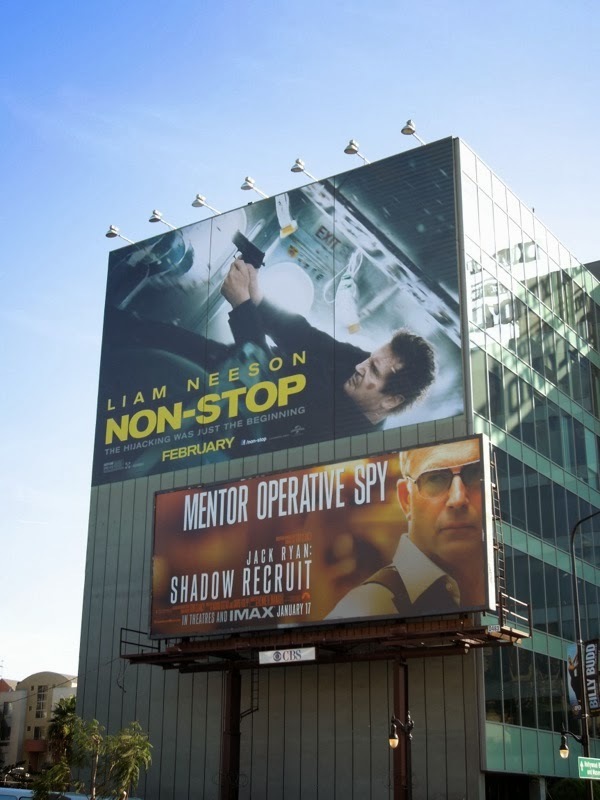 If you're a fan of Liam Neeson, be sure to also check out these Unknown movie billboards, The A-Team movie remake billboards and The Grey film billboards. 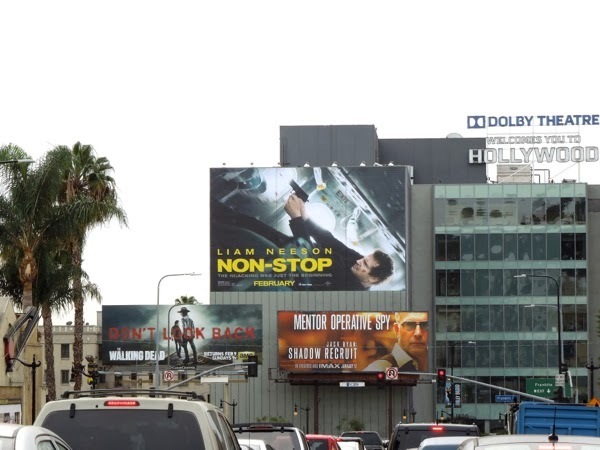 As you can see he's been in demand these past few years with a non-stop schedule, so he's the perfect choice for this new movie.